Last Saturday I had rear tire on my CUT go flat at once with no warning. Turned out the air pressure must have been so low when it came off of a small bank (about a foot) at a side angle the tire came away from the rim. R4's in particular are bad for this, even with nearly no air in them at all they will look fine. This is because of the extremely stiff sidewalls. We run valve-mounted monitors. It looks like a regular screw-on valve cap, but it has a little colour coded button in the end. You order them according to the pressure you want to run the tires at. If the tire is correct, the button is green, when it gets low, the green sleeve starts to pull back exposing first a yellow, and then a red button underneath. Just a quick glance is all it takes. Are you gonna tell us how you used starting fluid and a match to it back on the rim? How long did ya have to wait in the ER? Been there, done that. That, plus the rock-hard ride is why the R-4's are collecting dust in the shed. Art, I am gonna beat some of them to the question. Where do I/We find the Valve-mounted Monitors? Right after the Ford Explorere/Firestone debacle out local auto centers sold them for about $6 for 4. They're similar to a "pop-up" cooking indicator like what you see on a frozen turkey. JC Whitney might be a start. I have heard some people say they're not worth it, as the majority of their tire leaks come from these types of devices - but that's on cars, not tractors. I use sort of a self-imposed method to force myself to check the tires. My left front has a slow leak so it's often very low when I need the tractor. Since I need to drag out the compressor hose and gauge to fill it up I just check 'em all at the same time. When I was in charge of the equipment at the land fill I had all my operators do pre and post production checks. An one of the items was air pressure. It is not a bad idea fro personally own operators to do the same thing. It takes about 5 to 10 minutes to thoroughly check out the machine and to catch a problem before it becomes a failure or a brake down. Most operators manuals will give you a step by step too. I am sure most of you already do most of the checks like oil levels and grease. 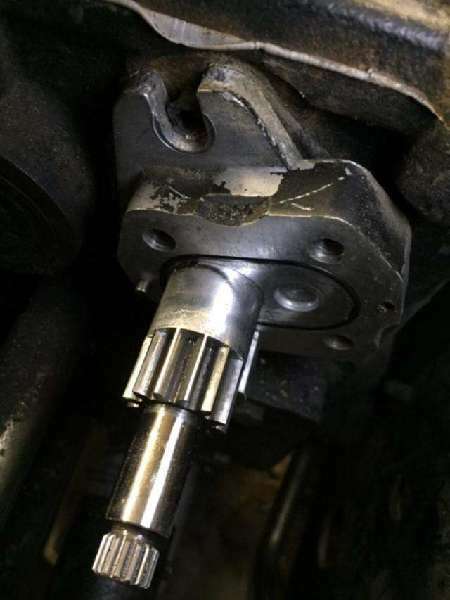 One that is really important on new machines is wheel bolt torque.